I've had red skin all my life. Last year I found Eucerin Redness Relief and it helped me reduce the redness on my skin. See the full story on how my skin improved. But of course if you have a job interview, or a date you're really looking forward to, you don't want to wait weeks or months for the redness to disappear. 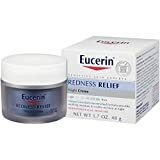 In that case I recommend the product featured here: Eucerin Redness Relief Tone Perfecting Creme. It's a green camouflage creme. Green cancels out the red, so the result is a normal skin tone. Most people with overly red skin on the cheeks, chin, nose and even the ears also have sensitive skin. 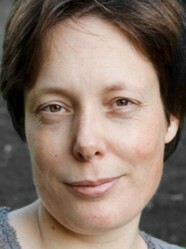 Many have acne as well as Rocacea. I don't usually have acne, not if I avoid ordinary skin cremes. I had used products other than the Eucerin line before, but they usually gave me acne, even though they did improve my skin tone slightly. The Eucerin line of skin care products on the other hand clears up my skin, does not cause acne and of course helps me get rid of redness. I have always had red skin on the cheeks, arms, nose, lately even the ears and chin. I went to a dermatologist 15 years ago and he recommended lasering it off. Reading about that online I am glad I didn't go for that: It doesn't just hurt the skin, it's also usually temporary. I've been trying creams for my trouble - they usually have a green tint to cover the redness, and it seemed they might be making the skin a bit lighter permanently as well. But the creams I used would give me pimples as well. Just what I needed! And my skin is good about pimples when left alone, so I basically had a choice: pimples or redness. Then I found the Eucerin line of redness relief products. They are made for sensitive skin, so they do NOT give me pimples or rash or any of that. Like other anti-rosacea products the day products contain green pigment to neutralize the redness. But they also contain ingredients to permanently make the skin less red. On my skin (my problem was BAD) it only causes a lessening of the redness. That's better than nothing and I think if I continue with it, the redness will become even less. But what do you do when you REALLY want clear skin. On a wedding or something? Well, then the foundation isn't enough and you go for the concealer. They call it 'Tone Perfecting Creme'. You could just camouflage of course, but it's even better to use a product (or product line) that doesn't just camouflage, but also cures the redness. I've used this product and it really works. See the before (top) and after (bottom) on the left. This is using the Eucerin line, not the concealer. You can imagine that for the final touch the concealer is just right. Going out? this is the foundation for you. It has a light green tint that will make the redness on your skin seem less. At the same time, like all the products in this line, it will help your skin grow less red altogether. Green, hmmm who knew blending green eliminates redness, great tip.